Let me introduce myself. I’m Bec Morris - northern martial artist, yoga teacher and wellbeing enthusiast. Today I’m gonna talk about an old flame of mine that has only got stronger as time has gone on — and due to recent experiences with illness has absolutely saved me. Ayurveda is known as the sister science of yoga. I got into the concept as I became more invested in my yoga practice, and they sit hand in hand perfectly. It’s an ancient Indian science that focuses on natural medicine, and holistic ways of healing the body through elements such as the food we eat. It literally translates to the knowledge of life (Ayur = life, Veda = knowledge) and is starting to make a rise in Western culture. This was inevitable looking at the popularity of yoga — people are beginning to listen to their bodies and are intrigued by how we can heal ourselves using natural methods. In Ayurveda, each person’s constitution is called a dosha. So… wtf is a dosha? Your dosha is your body’s make up, and helps you to determine how you should look after your body, what you should eat and so on. There are three doshas, and some people can be a cross over of more than one. These can be imbalanced by living in a way that doesn’t quite suit your natural needs, e.g. eating lots of spicy foods when your body needs cooler, soothing foods, or rushing and becoming stressed when you are naturally a slower, more relaxed person. You can take my online quiz to discover your dosha here. Pitta represents the fire element. People with the Pitta dosha are usually fiery, sharp and have a short temper. They are very good in business, as once they have an idea they are determined to see it through and work hard. People with imbalanced pitta can suffer from high blood pressure, redness in the skin, heartburn and skin rashes. Kapha represents the elements of earth and water. People with the Kapha dosha are usually good sleepers with a stable appetite and good digestion. They can have oily skin, of a stocky build and tend to have dark hair. They are loyal and loving. People with imbalanced kapha can suffer with high cholesterol, weight gain and heart problems. Vata represents the air element as it literally translates to ‘wind’. People with the vata dosha are of slight frame with dry skin and tend to feel cold most of the time. They are impulsive and creative. People with too much vata can suffer from digestive issues, insomnia, and dry skin - whereas having too little vata can result in tiredness, feeling heavy and even depression and anxiety. So I am a combination of Pitta and Vata. I’m more pitta minded, and vata in my body. I really recommend taking the test and reading into your specific dosha(s) a little more — it can be pretty mind blowing how accurate the summary can be! 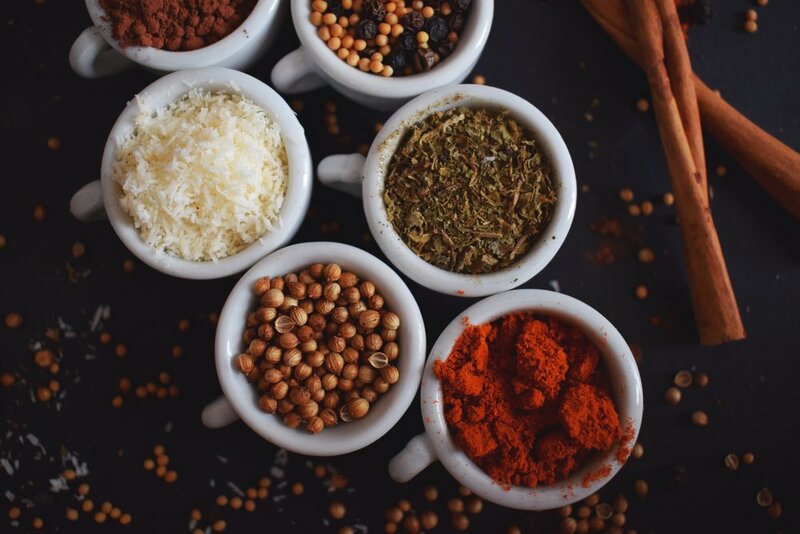 You can then go on to using specific herbs and spices that suit your dosha, tailor your beauty products and routine, and change your whole daily structure to make you feel more you. I’ll be writing a whole lot more on these topics, with recipes and recommendations for everyone to try out. I’ve found that when I really commit to living a more ayurvedically driven life, I feel so much better within myself. I’ve found ways to combat bloating, ease my mind when I feel stress building up, and feel so much healthier and happier in general. Of course I slip off the bandwagon sometimes and eat a shitload of junk food that I know is gonna wreak havoc on my body, but it’s all about the balance — and knowing how to treat yourself right most of the time. So give the quiz a go and let me know your results — as I mentioned, I’ll be posting more tips and guides as to how you can nourish your dosha and see how it will help you!